Building your own concrete countertops is a fun project, but it might be a little more challenging than you realize – especially if you want to create a custom finish or add a personalized touch. One method you might use to customize your countertops is adding a stamped pattern using a concrete release agent. Stamped concrete release agents serve two important functions for DIY concrete countertops. For one thing, they help keep your concrete stamp from sticking – this helps prevent inconsistencies in the texture of the imprint. The second function of a stamped concrete release agent is to add a hint of color, which results in a subtle antique appearance. If you choose to use a stamped concrete release agent for your DIY countertops, your best bet is to go with a liquid agent – these usually come in 30-pound pails, which is enough to cover about 1,000 square feet of space. If you are doing a countertop you will not need that much material so a small amount goes a long way. Apply the agent using an 8-inch dry Tampico brush with a flick-of-the-wrist motion to spread it in an even layer. Avoid the temptation to add too much of the agent, because it could impact the imprint pattern. For liquid release agents, the application method is a little bit different. You’ll need to use a pump-type sprayer and apply it in an even layer just before you apply the stamp. If you are using a tinted release agent, add the tint to the release agent a day or two before you actually apply it so it has time to fully dissolve. 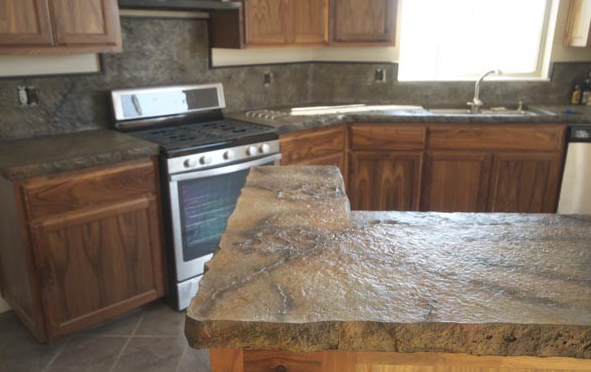 When it comes time to purchase your concrete countertop products, you can count on Concrete Countertop Solutions. 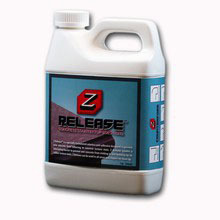 Not only do they stock stamped concrete release agents, but offer a variety of concrete sealants and other products for your DIY countertop needs.